Embrace your inner diva with Urban Contessa. Set your table with company dishes, even when it's just Meatloaf Night; our cloth napkins and colourful placemats make the simplest dinner feel like a special occasion. 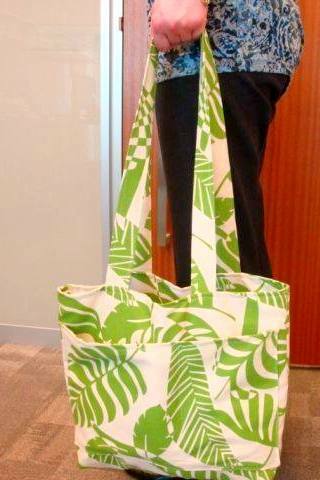 Carry a pretty tote to work to hold your book and shoes. The kids will love our funny-faced tooth fairy pillows. And you will never lose your place with our one-of-a-kind bookmarks. Our handmade designs are only available at craft shows. Visit our Events page to see where you can shop with us next. 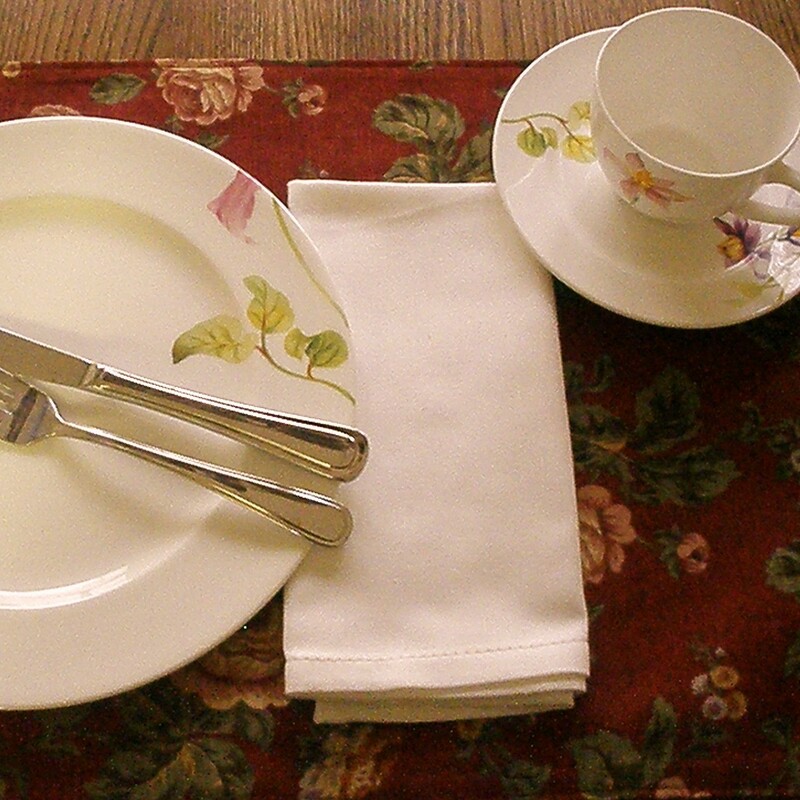 Our elegant placemats are double-sided and machine washable. Their easy care means they aren't just for company. Use them every day, whether you're serving a three-course dinner or Mac and Cheese. Be creative. 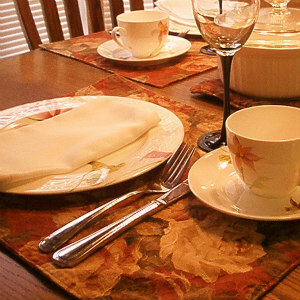 Placemats don't need to be limited to the kitchen. Consider using them to top dressers, side tables and, believe it or not, the toilet tank! We take the time to sew mitred corners for that added touch of class. Our dinner napkins are oversized; approximately twenty square inches. We only make white dinner napkins. Why? Because they're easy to match and easy to clean. 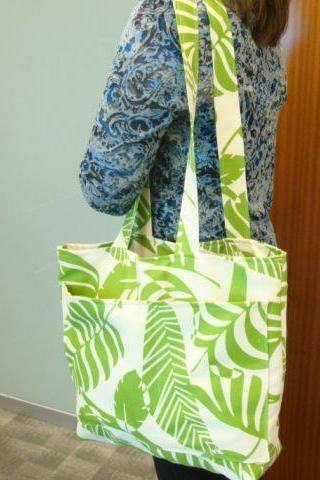 Created with colourful, durable fabric, our reversable totes are machine washable, essentially giving you two bags for the price of one. Large pockets (both inside and outside) give you room to stash the little things we all seem to drag around with us. Use it to carry incidentals to work and school. They're also perfect for taking on vacation. Pack it full of beach or pool gear and when you get home, simply drop it in the wash to get rid of the extra sand you brought back as a souvenir. The silly faces on our Tooth Fairy Pillows are all hand-drawn. The back of each pillow has a pocket for the lost tooth. Pockets are available in a variety of patterns to match your child's personality. 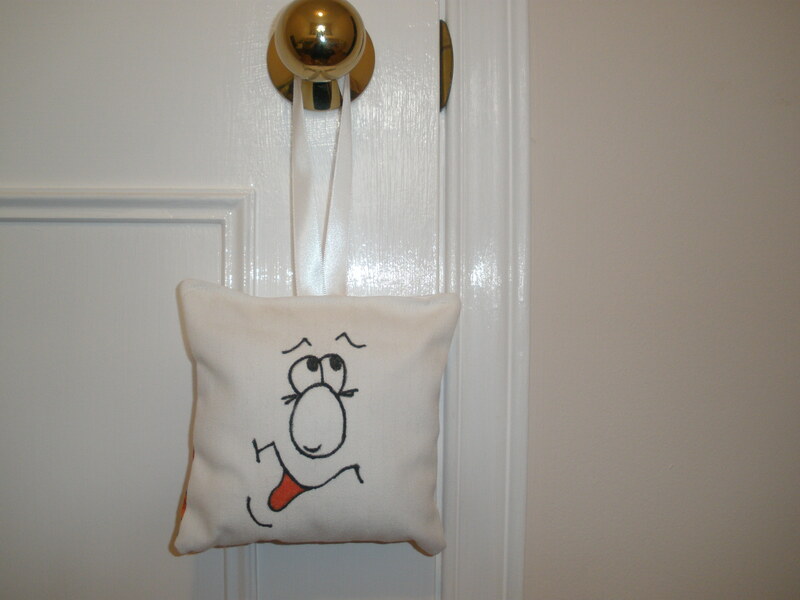 The pillow is designed to hang on the outer doorknob so the Tooth Fairy won't wake your child when she visits. Our one-of-a-kind bookmarks ensure that you won't lose your reading place. 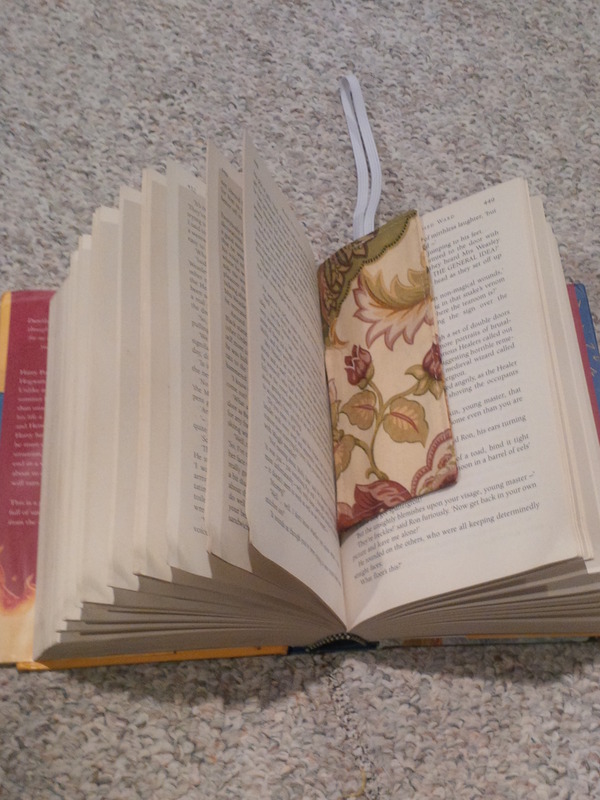 Place the bookmark inside the book, as you would any other bookmark, with the elastic hanging out like a regular tassle. Close the book. While holding the book closed at the pages (not the spine), wrap the elastic around the book (wrapping it over the spine side of the book) and voila! you have secured your bookmark. Drop it in your Urban Contessa tote bag and know that the bookmark will not fall out. 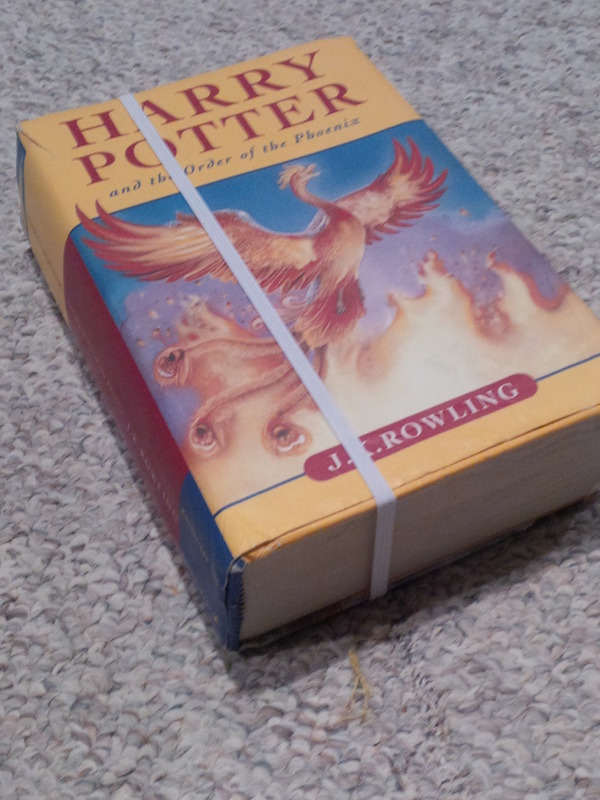 The elastic wraps around both paperbacks and large hard-covers with ease. 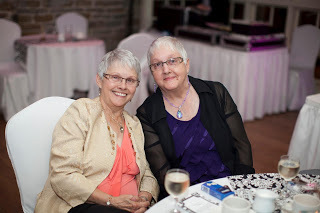 All Urban Contessa jewellery is designed and created by the dynamic team of Lynn Nadeau and Cecile Landry -- Monique's mother and aunt. One look at the unique pieces and you'll know where Monique inherited the design gene. Located in Sudbury, Ontario, Lynn and Cecile are happy to welcome you into their homes where you can shop for one-of-a-kind pieces at your leisure. The enormous selection, and the frequency of new creations, does not permit us to show you all our designs. Instead, please contact Lynn or Cecile directly at 705.560.6889 for a viewing appointment.